Check out our sea kayaks, canoes and sit on tops on the other menu’s. The Gerber River Shorty knife is an ideal tool for rafting, kayaking, and diving. This knife features a blunt tip, full serration drop point fixed blade with molded handle for strength and reliability. Blade is of medium-carbon stainless steel, high polished to reduce corrosion. The hard plastic handle is molded over the blade tang, virtually making it a one-piece knife. There are several ridges formed in the handle so the user can easily and quickly locate the edge of the blade. The holes in the handle are designed primarily to reduce weight and can be used for security (tie down). The River Shorty’s hard plastic sheath allows the knife to be inserted in 2 positions. 3 audible clicks let you know the knife is secure. The sheath can be attached to a belt, boot, or PFD using the pocket clip. It can also be permanently attached using the 2 plastic rivets. We are now agents for Rhino, Thule, Rolla and Pro racks, so place your orders through us. 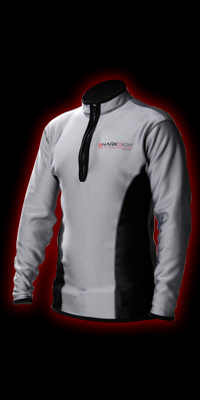 The Trek is the most advanced paddling vest on the market today. 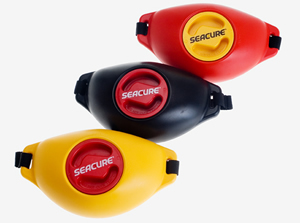 Whether you’re into long distance paddling or a leisurely cruise, the three secure pockets will keep everything handy. 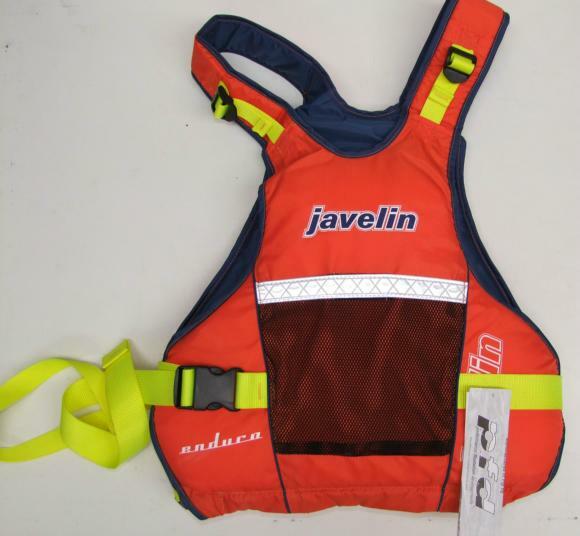 Many sea kayakers choose this PFD. 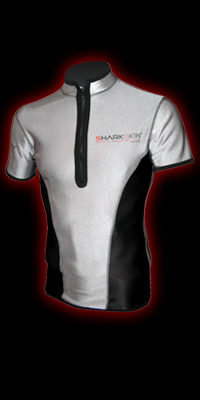 Don’t forget we are agents for Rhino, Thule, Rola and Pro racks, so place your orders through us. floating night lights, paddling at night? Fishing? need to be seen? the lights you have been waiting for. 5 bright colors available in both models (clear, red, green, blue, amber.) Dome lights use 2 x CR 3032 lithium batteries, Lazer lights use 3 x A76 or LR44 Alkaline batteries, Long base version(pictured) used 1 x AA battery. SEACURE Bum Bagis easily worn around the waist during most sporting activities. 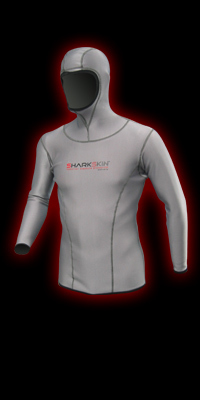 It is suitable for all water sports and beach activities, including: surfing, sailboarding, skiing, fishing, jet-skiing, swimming, rafting and kayaking. Keep you valuables with you, safe and dry in whatever activities you do. A must for lovers of the great outdoors – and they float! Designed in Australia by the Waterproof Bum Bag Co. for all lovers of the great outdoors!. They are made from high impact materials and are water, dust and crush proof plus pressure tested to 3 meters. Order your Bum Bag direct for just $34.95 including delivery Australia wide! 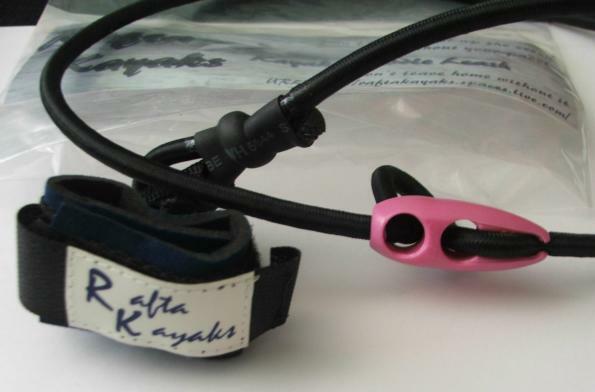 “Rafta paddle leashes” $24.95 plus P&H and soft protective paddle bags $33.00 plus P&H, also carbon wing style, quicklok Jazz Tripper and quicklok Northwest paddles, vests, and other kayak gear , ring 0418366922 for details. These are a great superbly manufactured (in Australia) Paddle leash (or Fishing rod holder), with about 1 meter of 6 ml Bungeee cord and an olive locking clip on the end to enable you to loop the bungee round a deckline or other fitting and then lock it off securely in the olive. Unlike the coiled leashes that tap anoyingly on the deck, these give you peace of mind whilst paddling. Paddle bags are by Monique, who is putting the money towards a volunteers trip to help in schools and orphanages in Africa.